At Renown Rehabilitation Hospital, they are taking the concept of We C.A.R.E. one step further. As part of orientation for the facility, they are assigned a typical case and diagnosis and then have to live for half of the working day as that patient, including spending time in a wheelchair going through a typical patient schedule. They also learn about an actual patient and what they are going through on that particular day. As part of “Patient Experience: A Lesson in Caring and Compassion,” they may be a patient with stroke, one with a high risk for falls, to give just two examples. They are assigned a room and a nurse and go through a typical therapy schedule for their condition, receive a meal tray and also see what response is like for a bed alarm. Several employees who have gone through this program have walked away with a greater empathy and understanding of what their patients go through. Princess Dela Cruz, RN, wrote in her training essay that it was the first time she was ever in a wheelchair. 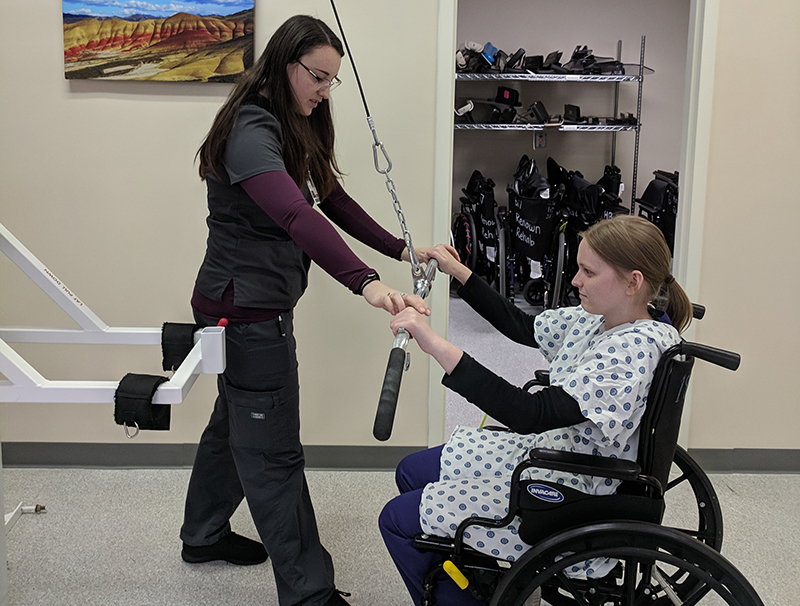 Kelly House, Patient Experience Representative for Renown Rehab, said that the employees are clearly showing that they understand the patient experience better once the training is complete.